I literally rescheduled todays post to talk about these shoes!! I was stopped in my tracks when I saw them online and I'm not one to just buy right away, I sit and think and debate if I need them. But these I just bought and now they're here and I'm so beyond excited. 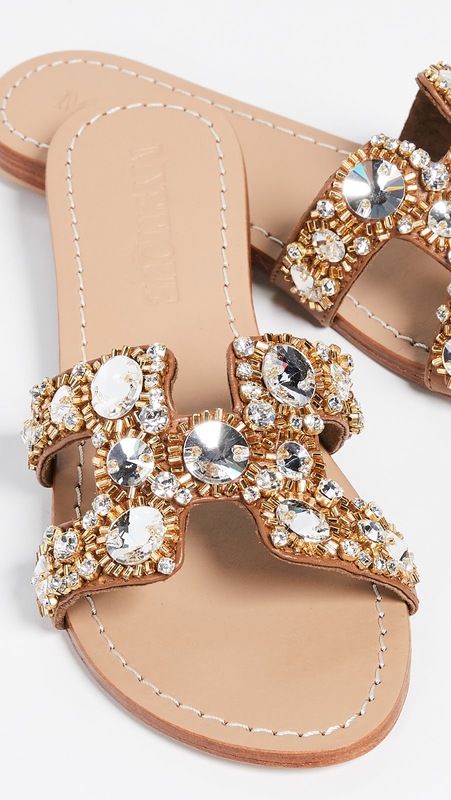 They are just SO CUTE and honestly look like bejeweled Hermes oran slides. And not like the Steven greece slides... these look JUST like the Hermes pair! I lined them up and the shape is like 99% spot on. The underpart that is on your foot is a little stiff (compared to the Hermes) but that's what you're going to get with these. These are going to be my go-to summer sandal, ESPECIALLY on vacation. UGH I can't get over how cute they are! I love them. I need more. I had to share. 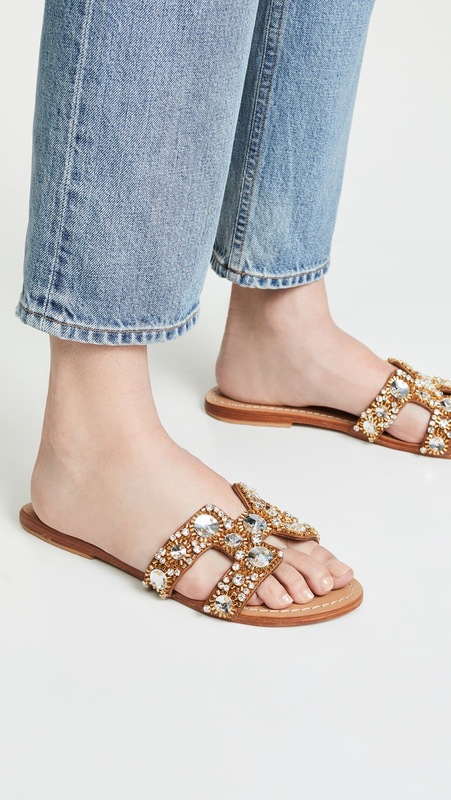 I also bought this pair of shoes from Tuckernuck that I will review once I get them in but they are also JUST like the Hermes oran (sans jewel if you want more of a traditional look). They comes in brown, orange and white. I love these. Great content.